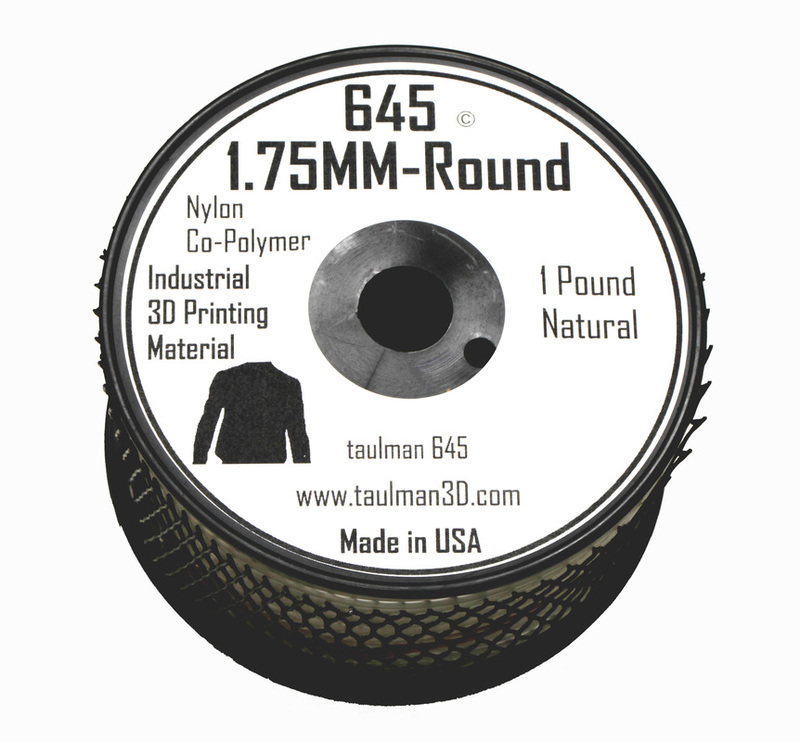 Taulman 645 Nylon is explicitly developed for 3D printing high-end applications. Additive manufacture Nylon with your 3D printer now. 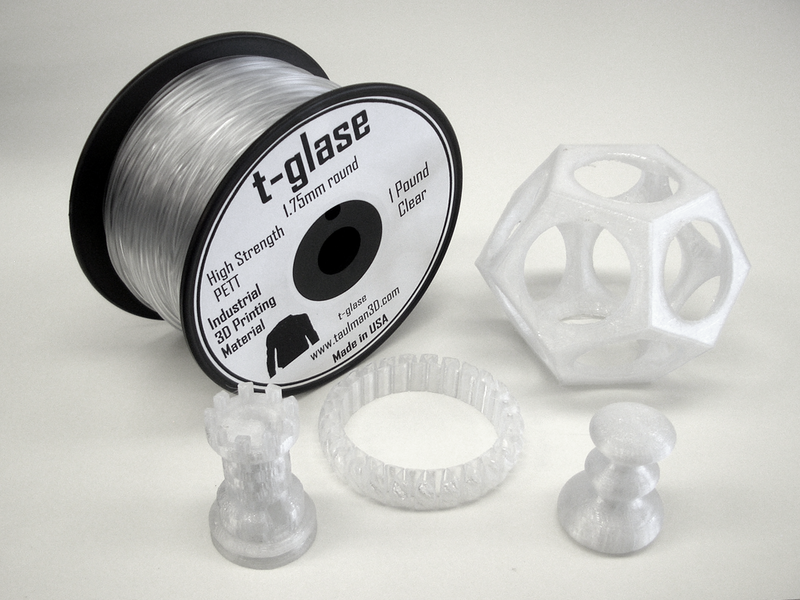 Taulman 645 Nylon is explicitly developed for 3D printing high-end applications. It matches perfect your needs when excellent surface bonding, reduced water absorption, tear resistance and dye absorption are needed in an easy-to-3D print filament. Additive manufacture bright natural to white with a translucent surface with Taulman 645 Nylon filament. Be able to add colours to this filament. Most common clothing dyes can be used. The production speed is 3D printer dependent. 3D printing with a speed of 28 mm/s to 34 mm/s in general perform well. 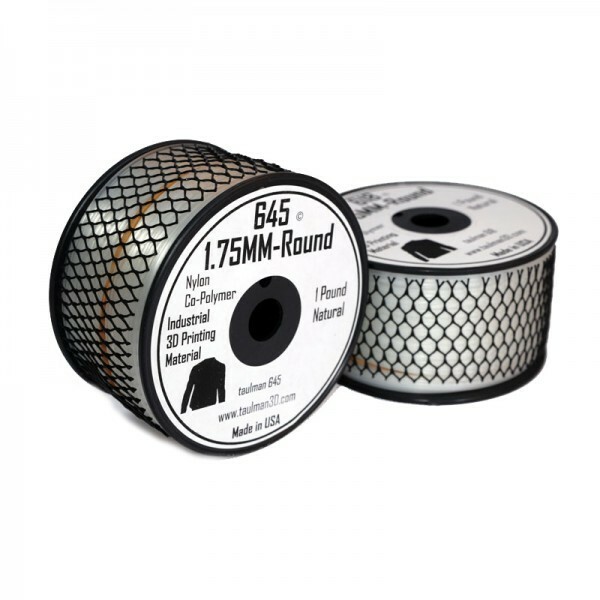 Buy Taulman 645 Nylon to 3D print excellent surfaces with reduced water absorption and tear resistance. Additive manufacture Nylon now.